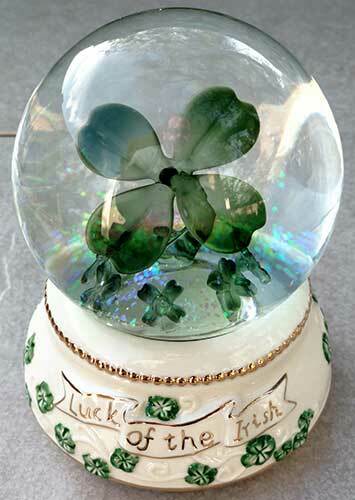 This Irish snow globe lights up inside to illuminate the glass clovers. Requires 2 AA batteries, not included. light in a darkened room. 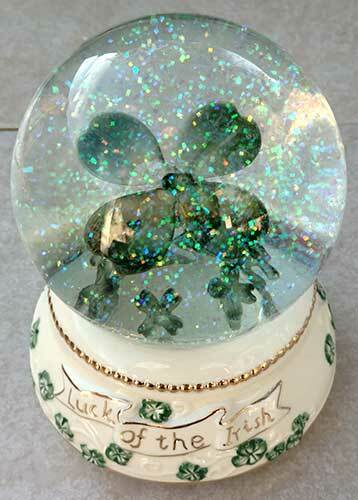 The four leaf clover water globe is made of resin and glass; it measures 5 1/4" wide x 5 1/2" tall. 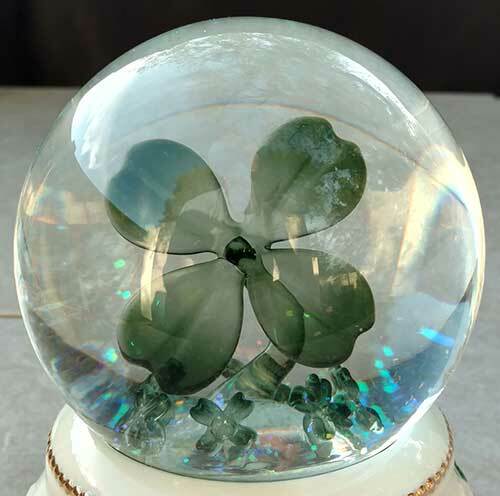 The musical Irish water globe is made by The San Francisco Music Box Company; it is gift boxed, complements of The Irish Gift House.